Really beautiful! Love this beautiful piece. I used one of your "freebies" for my project. Thank you! 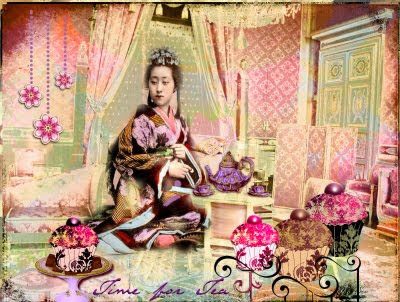 This is gorgeous Julia- love the tea time scene you have created here! Oh so delicately done, full of detail and scrumptious to see! Typical Julia! Julia, a true tea ceremony going on here, so exotic and oriental, it's fantastic. I think I would like to be at the lady's teaparty to taste those cupcakes! Julia, your picture is absolutely beautiful. I love the soft pastels and all the small details. Stunning artwork! This is absolutely brilliant, dear Julia. You have captured the theme so beautifully!!! I really Love this postcard! Typical dreamy perfection I've come to know from you. This is beautious and so delicious! A simply stunning postcard; love all the elements. You have created a brilliant work of art. I really love this so much! I hope you have been well. 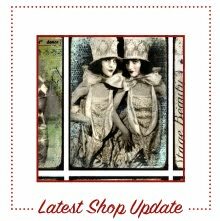 Going now to look at new things in your shop! !